Ferree & Bunn, Chtd. ; Ferree, Bunn & Byrum, Chtd. ; Ferree, Bunn, & O’Grady, Chtd. ; and Ferree, Bunn, O’Grady & Rundberg, Chtd., 1987 to 2012. Kansas Bar Association Family Law Section - President Elect (1998-1999), President (1999-2000), Section editor in 2000-2001, 2005-2006 and member of the executive committee from 1998 to 2001 and 2003 through 2005. Johnson County Bar Association Board of Directors (elected director), 2009-2011. 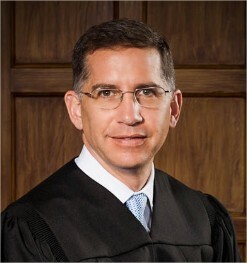 Johnson County Bar Association's Family Law Bench-Bar Committee, member 1988 to present, Chair 1997-2012. Named a “Super Lawyer” (the top 5% of lawyers in Kansas and Missouri) by Law & Politics/KC Magazine’s Super Lawyers Magazine in 2005, 2010, 2011 and 2012. 2010 recipient of the Kansas Bar Association Pro Bono Certificate.